Violence erupts on the streets of Cairo. Bricks and stones are thrown between opposing groups on either side of the street. Shots are fired, as armed police intervene to separate the two fighting mobs. But this is not the 2011 revolution in Cairo, Egypt. It is Cairo, Illinois, deep in the heartland of America, and the year is 1969. These are archive scenes from a new feature-length documentary, Between Two Rivers (www.betweentworivers.net), directed by myself and Jacob Cartwright. 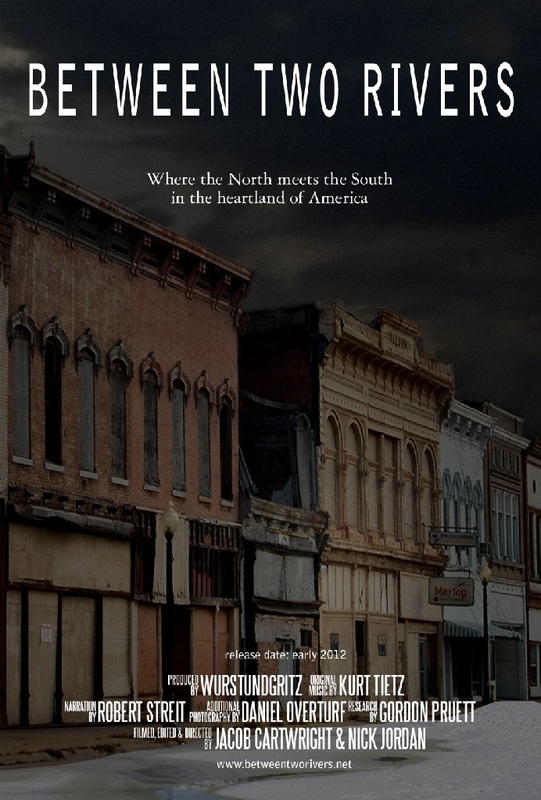 The documentary centres on Cairo, Illinois, a small city with a dark and turbulent history, located at the confluence of the Ohio and Mississippi rivers. 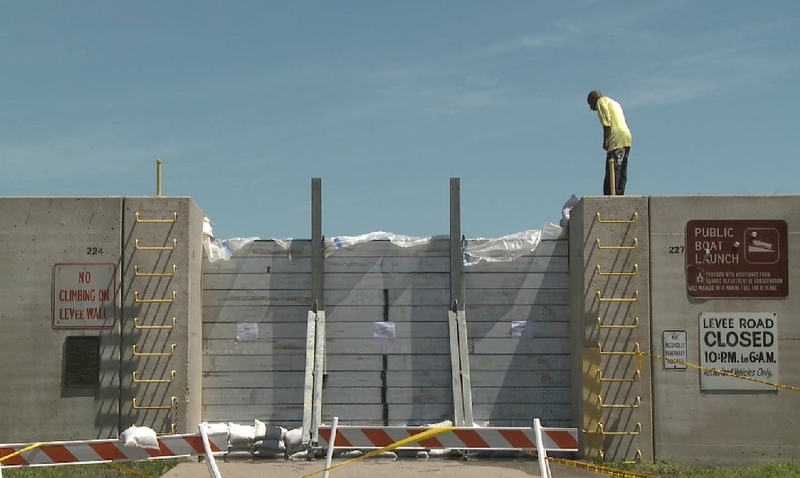 The documentary sets Cairo’s tumultuous past against the backdrop of the latest crisis to afflict the community: the record-breaking floods of spring 2011, when the rising Ohio & Mississippi rivers threatened to engulf the town. 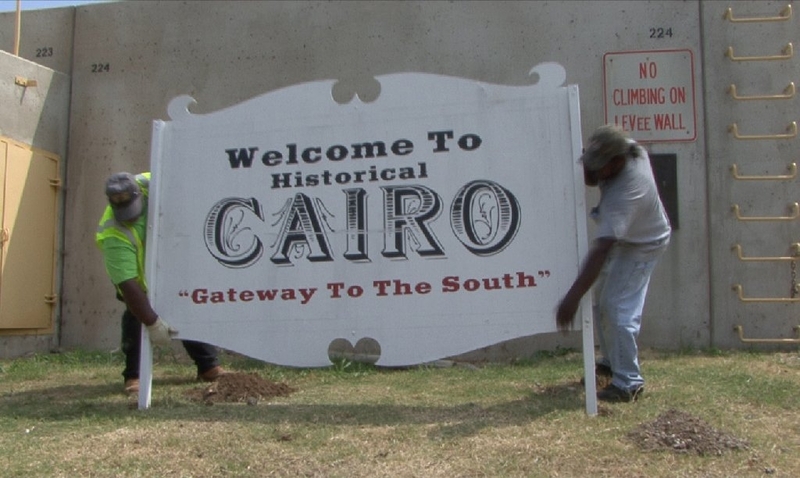 In editing the documentary, which we researched and filmed over a four-year period, we decided to combine our own cinematography with historic film clips, including remarkable archive footage from Cairo: City in Turmoil, made in 1969 by Southern Illinois University. Unseen for over 40 years, City in Turmoil captures the town at the height of racial tensions, when Cairo witnessed the last pitched battles of the American civil-rights movement. Our collaborative practice often explores the relationship between cultural and natural history, and Between Two Rivers looks closely at the unique natural environment that encircles the town. Cairo is positioned at a biological midpoint of the USA; a region of natural diversity where numerous species and terrains meet at the limits of their northern and southern range. We originally came upon Cairo by chance, whilst working on a series of short films based on the writings of the 19th century American frontiersman and ornithologist John James Audubon. After filming in neighboring Kentucky our search for somewhere to stay in the area lead us to Cairo. The town’s name conjured up notions of civic grandeur and pioneer ambition. We imagined a clapboard river town, where the old world converges with the new; an exotic, old Americana, offering a welcome antidote to generic motels and chain-food franchises. We arrived at night to find the town in a state of ruin. Commercial Avenue, once the main mercantile thoroughfare, was lined with the crumbling facades of 19th century stores, banks, abandoned warehouses and saloons, some littered with police tape and bullet holes. Adjacent streets were punctuated by burnt out ‘shotgun’ houses, deserted churches and gutted mansions. Cairo’s troubles were all too evident. It was only later that we discovered the scope and nature of its baleful history: from booming river trade, lavish opera halls and lively juke-joints to mob-lynchings, curfews and armed vigilantes. At a time when the “99%” majority, who paid trillions to bail-out the financial markets, are left shouldering the burden of higher taxes and food prices, public service and welfare cuts, job losses and a huge drop in living standards, the small, isolated and largely forgotten city of Cairo graphically represents the pressing social problems facing western economies today, with gross levels of wealth inequality, rising poverty and environmental pressures. Candid in its representation of severe economic and social failings, we hope that our film also highlights the dignity, faith and optimism of the people of Cairo, many of whom are proud of their community and yet feel that they have been left behind. The film will be released to festivals and wider distribution from January 2012. There will be a special, non-public screening of the film at Cornerhouse, Manchester on November 7th, 2011. The screening is free and will begin at 4pm. If you would like to attend please e-mail mail@betweentworivers.net to secure your place. Nick Jordan is an artist/film-maker based in Manchester (www.nickjordan.info). He also works for the University of Manchester, making educational training videos in psychiatry and psychology. This entry was posted in News & Updates and tagged Development, Economy, Exclusion, history, Poverty, United States on October 31, 2011 by citiesmcr.